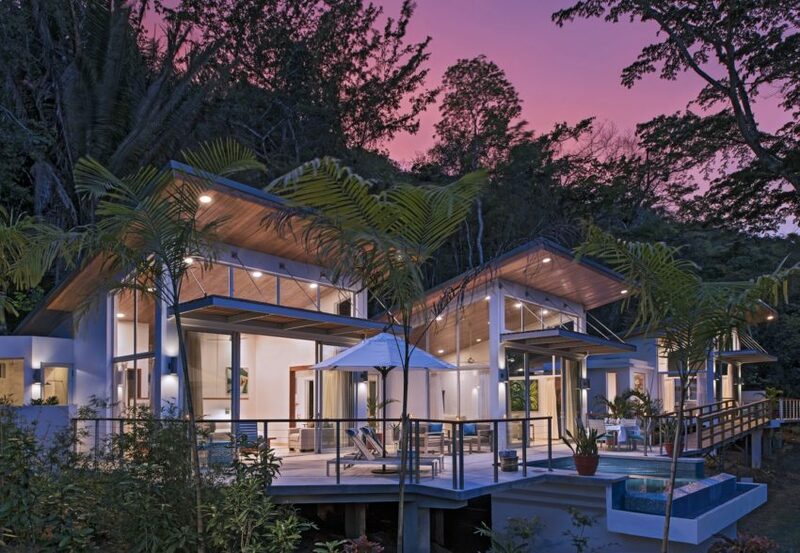 The perfect location for unforgettable adventure and unrivaled relaxation, Chaa Creek is the true Belizean experience within the borders of a 365 acre rainforest preserve. Situated near the Macal River in the foothills of the Maya Mountains, Chaa Creek is an award winning, internationally recognized eco-resort that brings together 23 cottages, a jungle lounge, restaurant and conference center with the use of breathtaking garden paths. Other sites of note within the resort are the Hilltop Spa, pool, Natural History Center, Maya Medicinal Plant Trail, Butterfly Farm and the Macal River Camp for those seeking extra seclusion. Once you’re settled in and ready to explore, be prepared to hike, bike or ride horses along miles of rainforest paths. Other wonders include the over 70 ancient and intriguing Mayan temples and cities the mountain range was named for. If you need more, look to our Rainforest to Reef package that provides you the entire gamut of Belize variety, from these very mountains all the way out to the Belize Barrier Reef. 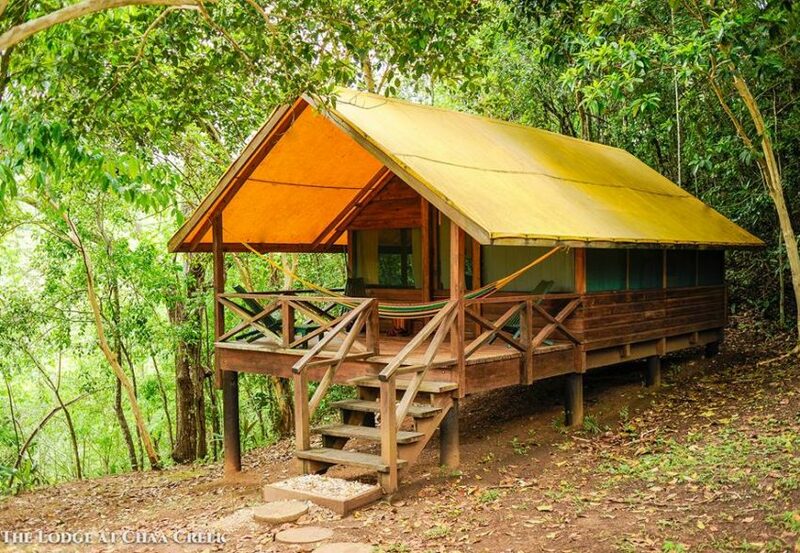 If you enjoy nothing short of a completely rustic outdoor adventure, Camp Casitas is as close as it gets. Remote and without electricity, each of the 10 bungalows are situated on raised platforms and come with beds, towels, blankets and linens. Environmentally friendly showers and bathrooms are also provided. 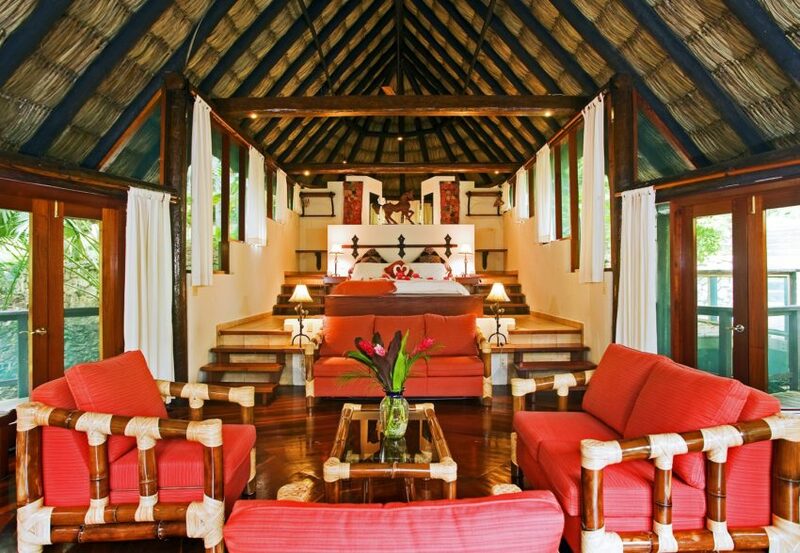 Complete with a private veranda and large, thatched palapas, our Casitas are ideal for hosting games, socializing and dinner. Though cars are prohibited into the camps, special needs can be met. From full-fledged family adventures to a romantic honeymoon getaway, the cottage collection at Chaa Creek is a perfect match for everyone. Spacious and inviting, each cottage features its own private sundeck where visitors can relax while enjoying the sounds of the rainforest. If you like special visitors, hummingbirds make common appearances to these secluded cottages, dazzling visitors with their rich colors and unmatched agility. Orchard Villa is one of our more unique offerings. Set within their own private gardens, they were originally designed just for families. However, the space and beauty quickly made them a favorite for groups of friends and travelling individuals. Each large villa comes with two separate sleeping areas complete with queen sized beds, two bathrooms and a winding staircase that leads up to a second story where two more single beds are located. Chaa Creek knows how to pamper its guests. From the Garden Suite to the Garden Jacuzzi Suite, there is no more luxurious place to stay. Each suite can be rented separately or together through our unbeatable Complete Garden Suite Package. 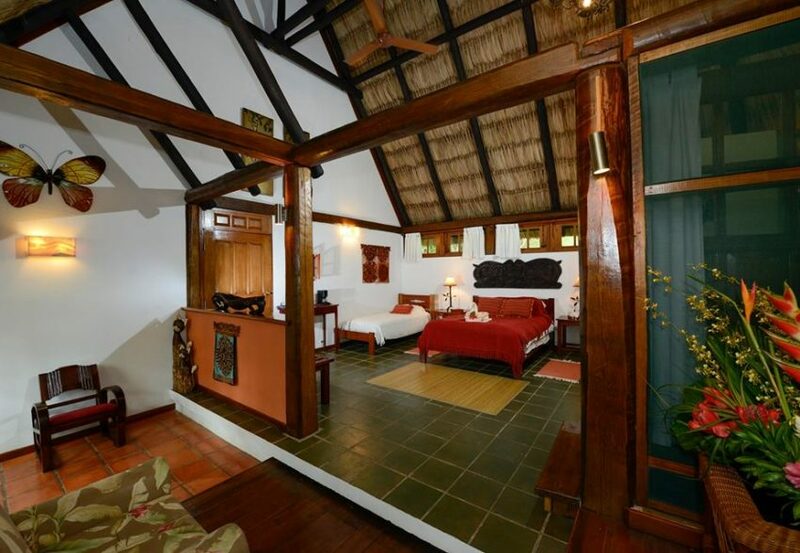 Overlooking the calm Macal River, our Macal Cottages are the newest addition to our award winning Chaa Creek cottages. 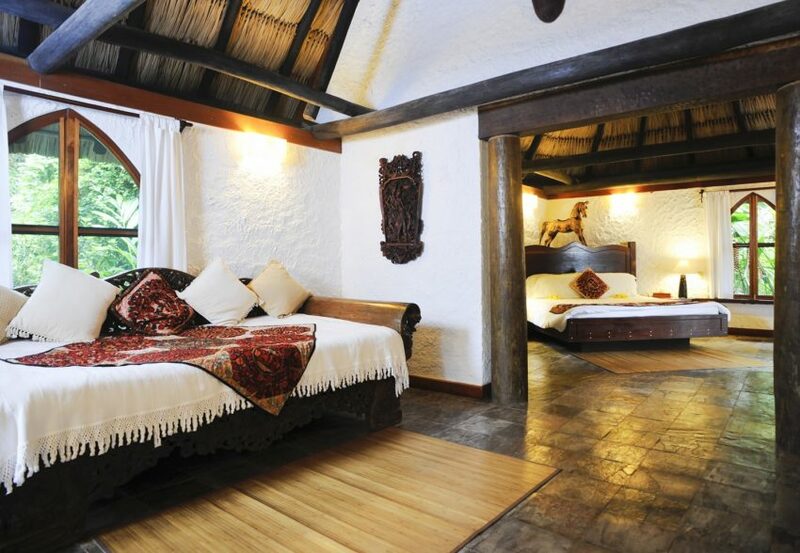 Creating elegance through simplicity, these cottages give you a romantic setting in which to enjoy the already stunning beauty of the surrounding rainforest. 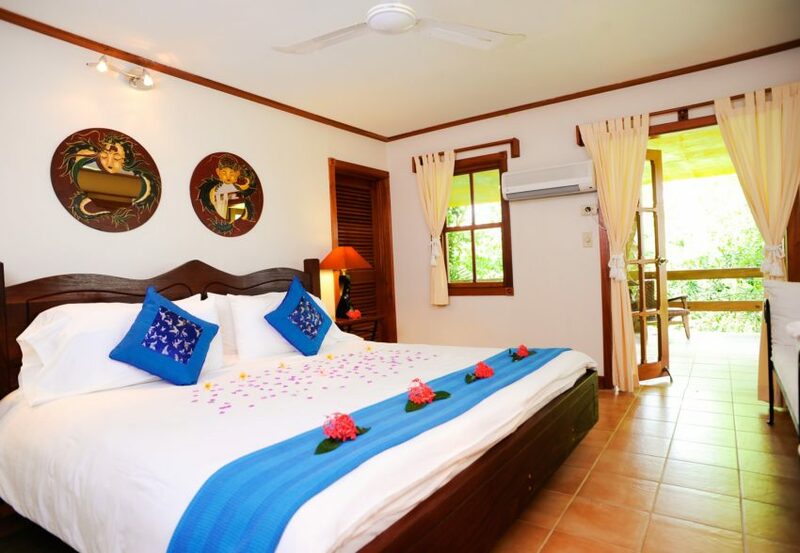 Three bedrooms make up each Spa Villa, beautiful locations nestled within hillside tropical gardens. Guests can settle down in either the master bedroom complete with a king sized bed and en suite bathroom or the two other bedrooms featuring queen sized beds and a shared full bathroom. 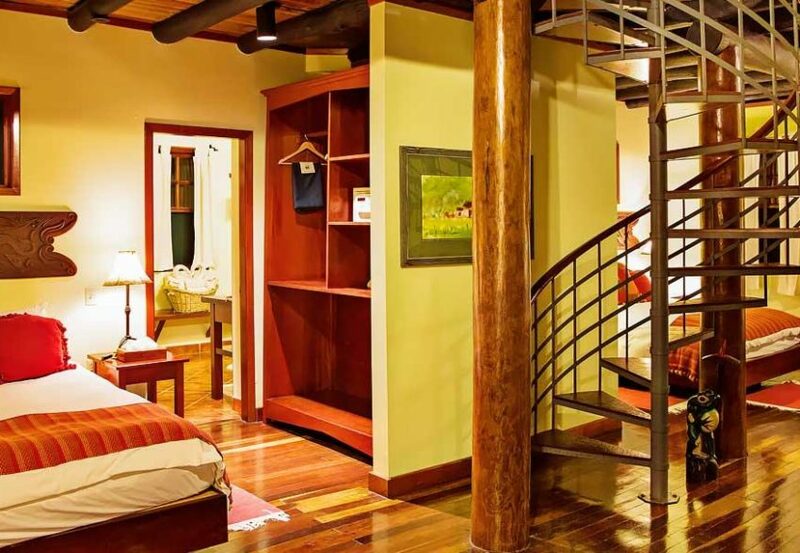 Tree Top Suites are veritable laps of luxury. Each individual room comes with full amenities in addition to a private Jacuzzi situated out on your personal veranda, allowing you the chance to unwind from your adventure while watching the stars twinkle above you. Comfortably sleeping up to four people, these suites are well-matched for small families but more suited for the ultimate honeymoon getaway.